﻿(pronounced 'jay-buck') is geologically noted for the 'Marmon-Jabuk' fault-line that cuts across the district. Fuel and basic supplies are available from the store on the highway. Pronounced 'buck-lew'. 'Welcome Well', just east of Buccleuch was an outstation established by John Whyte as part of Moorlands Station. The area was surveyed and named after the fifth Duke of Buccleuch, in England. The settlement established around the railway siding, which was built in 1911. By the 1930s about 75 people lived here. Teachers were in short supply during WWII, so by 1942 the Buccleuch School had closed and its students travelled to Peake. When the Mallee was first opened up, the Surveyor General recommended that all roads be at least three chains wide (60 metres), with two chains to remain as forest reserve. 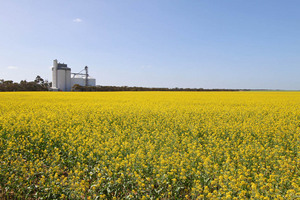 This ensured that blocks of land were protected by a windbreak, as he was concerned that the land would driftshould all vegetation be cleared. 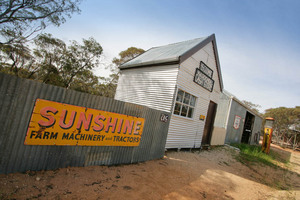 This has given the mallee its distinctive feature of roadsides fringed with remnant timber. The railway yards remained active until the introduction of bulk grain handling in 1959. A large water softening plant was installed here in 1905 to remove the harsh minerals from bore water that caused scale to build up in the steam trains' boilers. Wilkawatt began to decline as a community centre after WWII, as did many similar sized townships. 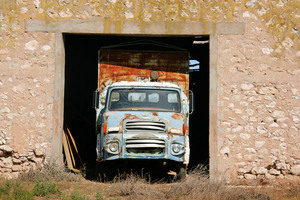 Improved transport and roads drew people towards Lameroo for essential services, employment and education. 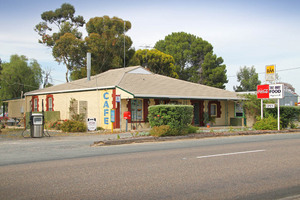 In 1912 a refreshment room was built at the rail siding, and it became famous for its wonderful pies and pasties.This was the only refreshment stop between Tailem Bend and Pinnaroo, with the premises licensed to serve alcohol only when the train was at the station. 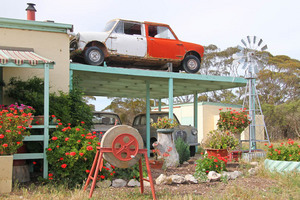 (It was a 12 hour journey from Adelaide to Pinnaroo). 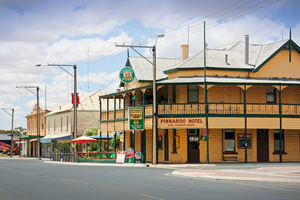 The stone and brick Railway Hotel was built in 1908, with 14 rooms plus bar, parlour and dining room. 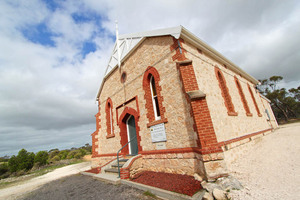 It was also used for church services, some council meetings, and the doctor and travelling dentists also consulted here. 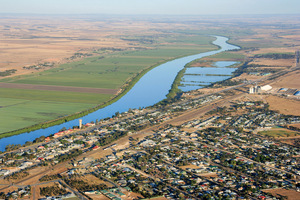 The large 'S' bend between Lameroo and Parilla is known as Yappara, which means 'a camp'. A railway siding was built here in 1911, and was originally called 'Toora'. This name was continually confused with Koora and Noora on the Paringa line, so the Nomenclature Committee recommended a name change. 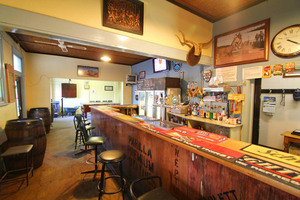 The billiard saloon from Lameroo was shifted here to become the local hall. 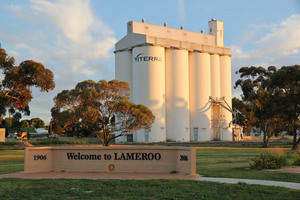 In 1943 the building was moved back to Lameroo. It now stands in the main street and is used by the CWA. The township was proclaimed in 1916 and became a flourishing community. In its heyday it had a post office, primary school, railway gangers’ barracks, netball, football, tennis and cricket teams. Football teams and supporters generally travelled by train to matches against neighbouring towns. Guarrai means 'refreshment' The railway opened in 1914, but the town was never surveyed as it was intended only to be a railway yard. Despite this, a small settlement grew around the siding, with tennis courts and a football oval in a paddock. The town hall was built in the 1930s with the help of volunteers using local stone quarried nearby. The Government refused to supply a school because the town had never been officially proclaimed. However, after years of argument, a teacher was appointed in the late 1930s, and eventually in 1951 a small weatherboard school room was built; the relic can be seen adjacent to the silos. A farming settlement grew up around the well, a remainder from the original Parilla Head Station (allotted in 1873 but deserted 16 years later). The first farmers settled in 1904 with the well providing the only reliable water source until other bores were sunk. The district boasted a local school, hall, and cricket and football teams. A plaque can be found at the old well which tells the story of the area.